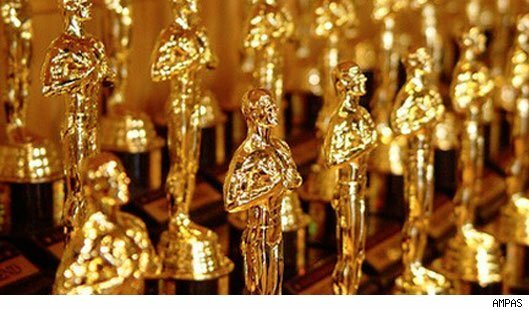 The 84th annual Academy Award nominations were announced today. Here is the complete list of nominees and my analysis along the way. Stay tuned for the Oscars on Sunday, February 26. The Artist – Following its PGA win, this film is primed to win the big prize on February 26. The Descendants – I’m not surprised by this nomination, though I don’t think the film is deserving of it. It’s a flawed film, but AMPAS likes Alexander Payne. Extremely Loud & Incredibly Close – This is one of two surprise nominees in this category and the only one I have not yet seen. Hugo – If it were up to me, this would win Best Picture. In my opinion, it’s the strongest and best-composed of the nine nominated films. Moneyball – Overall, a terrific film and deserving of this honor. The Tree of Life – This is the second surprise nominee in this category. Arguably the most polarizing film of the year, don’t expect Tree to win here. War Horse – Spielberg gets a Best Picture nomination, but is snubbed for Best Director. This doesn’t bode well for War Horse‘s chances. Demián Bichir, A Better Life – I knew it from the second I saw his performance in this film’s trailer several months ago. He was also nominated for a SAG Award, which speaks volumes in terms of his chances for a nomination. I’m not surprised at all. I look forward to seeing much more from him thanks to this career-boosting nomination. Jean Dujardin, The Artist – In my opinion, he’s the frontrunner to win. Gary Oldman, Tinker Tailor Soldier Spy – Surprise nominee. People have been raving about his performance, but this film has been mostly gaining traction among British awards. His nomination here means a snub for Leonardo DiCaprio (J. Edgar), which is arguably one of the biggest snubs among all categories. Viola Davis, The Help – I still see her role as a supporting one—not lead—but this is an unsurprising nomination. Rooney Mara, The Girl with the Dragon Tattoo – Surprise nominee, despite a terrific performance. This nomination means a snub for Tilda Swinton’s fine portrayal in We Need to Talk About Kevin. Meryl Streep, The Iron Lady – Perennial favorite, but Streep hasn’t won an Oscar in 29 years. 29 YEARS! She’s due, and there’s no better performance with which to win her third Oscar. Her well-balanced performance spans from vulnerability to strength. Amazing. Michelle Williams, My Week with Marilyn – Easily one of the finest actors of her generation. This is her third nomination (second in the lead category). Although I’d love to see her win for this rock-solid performance of a fragile character, I give the edge to Streep. Jonah Hill, Moneyball – I love it when a comedic actor scores an Oscar nomination, particularly when it’s deserved. Hill deserves it. Nick Nolte, Warrior – I predicted this nomination several months ago. If you don’t believe me, check out my past tweets. Nolte blew me away in this film. Christopher Plummer, Beginners – My favorite to win. He’s a classic actor who’s never won and he turned in an against-type performance with ease. Max von Sydow, Extremely Loud & Incredibly Close – Surprise nominee, despite some great things I’ve heard about his performance. He could be the spoiler in this category, splitting the vote between two older, classic nominated actors who have been once nominated before but never won. If von Sydow and Plummer split the vote, I think it’s an open race for Branagh, Hill, and Nolte. Jessica Chastain, The Help – This nomination is not a surprise, but it was bound to happen. That’s what happens when you’re in every movie that comes out in a single year—you’re gonna get nominated for something. Melissa McCarthy, Bridesmaids – Some are surprised by this nomination, but I’ll pat myself on the back as I correctly predicted all five of these nominees. McCarthy turned in a solid, scene-stealing performance in one of the most enjoyable films of the year. She could be the spoiler here. Octavia Spencer, The Help – She’s the favorite to win, though I don’t necessarily think the nomination is deserved. Spencer’s character, though well performed, is like any other sassy black female character we’ve seen a hundred times already. A Cat in Paris – This and Chico & Rita are surprise nominees. With so many animated films out this year, I don’t know anyone who was thinking beyond US films. With The Adventures of Tintin surprisingly out of this race (it was considered a favorite to win), these foreign animated films could be dark horses in this race. Chico & Rita – See A Cat in Paris. No surprises here. All of these films are worthy of their nominations. The Tree of Life – The only thing I really love about this film is its cinematography. Emmanuel Lubezki has four other nominations under his belt, but no wins. No surprises here. All of these films are deserving of their nominations. Anonymous – This award typically goes to a period costume drama. I’m expecting either Anonymous or Jane Eyre to take this one. I’m giving the edge to Anonymous, though, as the costumes are flashier and more detailed than the more subdued costumes in Jane Eyre. Jane Eyre – See Anonymous. Michel Hazanavicius, The Artist – It’s a race between Hazanavicius and Scorsese. Typically, the winner in this category also wins the DGA Award, which is yet to be announced. Alexander Payne, The Descendants – I don’t understand AMPAS’s love for Payne, who consistently turns out good-but-overrated films. Martin Scorsese, Hugo – Scorsese expertly composed this film and is deserving of the win. Terrence Malick, The Tree of Life – Great director, but a surprise nominee for this film. Some interesting snubs here, including Cave of Forgotten Dreams, The Interrupters, Project Nim, and Into the Abyss. Pina – I seriously do not like this movie. It’s an experimental dance documentary that deserves a category of its own. The 3D in this film is probably the best use of that format I’ve ever seen, but the story is highly experimental. Interestingly, this film was Germany’s official entry for the Foreign Language Film Oscar, but was ignored from that category. A Separation, Iran – This is an easy favorite to win, but this category tends to be a bit unpredictable. There are more snubs in this category than actual nominees. W.E., The Help, Albert Nobbs, Happy Feet 2, and other films have noted songs that have been recognized by other award shows. I’m not sure what the Academy’s restrictions are in this category, but I’m surprised there are so few nominees here. Personally, I feel that if there are only two worthy nominees, the Academy should remove the category altogether for the year. “Man or Muppet,” The Muppets – I was hoping a song from this film would get nominated because it could make for a really great Oscar moment to have the Muppets on stage for this. Time Freak – This is the nomination out of all nominations in all categories that I’m most excited about! I screened this film last summer as a festival submission and loved it. I highly recommended it for the festival, but it was rejected. Its nomination here makes me feel validated. This award just about always goes to a comedy, and “Time Freak” is a strong one with a solid script and compelling performances. The Descendants – The thing I dislike most about this film is its screenplay. It’s an Alexander Payne film, so it gets nominated (almost by default). Sad. The Ides of March – Fantastic script. Moneyball – Amazing script. This deserves the win here, and I’d say this despite Steven Zaillian’s and Aaron Sorkin’s names attached. The Artist – I think this will win, but Bridesmaids could be the dark horse. Bridesmaids – See The Artist. I was shocked when Swinton was not nominated.